The Recording Industry Association of America sues the peer-to-peer file sharing service Napster alleging copyright infringement for allowing users to download copyrighted music for free. 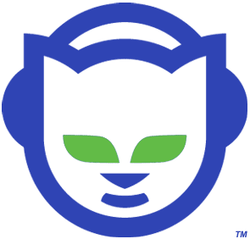 The RIAA would eventually win injunctions against Napster forcing the service to suspend operations and eventually file bankruptcy. In the end the RIAA and its members would settle with Napster’s financial backers for hundreds of millions of dollars. While the case was ostensibly about copyright violations, the bigger picture for the RIAA was also about control. The recording industry in general was caught with its pants down when it came to digital music and the Internet. They were not prepared for the sudden popularity of digital music downloads that Napster introduced and were not ready with a model to monetize downloaded music. This lawsuit, along with future lawsuits targeting individuals, was intended to squash the practice of downloading music as much as it was to recover compensation. However, the practice of downloading music could not be stopped as other non-centralized peer-to-peer file sharing services popped up in place of Napster. Faced with the ever increasing tide of users downloading music for free, eventually the recording industry reluctantly got on board with commercialized music downloading services like the iTunes Music Store. However they still lost a great deal of control over the marketplace. Leveraging the huge success of iTunes, Apple enforced a strict pricing policy much to the consternation of the record companies. By creating a de-facto pricing standard for downloaded music, Apple became the major powerhouse in the music industry. The runaway success of iTunes also had the effect of Apple displacing established retail and radio outlets as the gatekeepers of popular music. As well, the ability for artists independent of record companies to distribute their music and gain followings greatly disrupted the control the RIAA and its members had over the music industry. While the RIAA may have taken down Napster, what Napster started completely changed the direction of both the music and technology industries.